Rodrigues, S.F, Bauer, P, & Bosman, P.A.N. (2014). 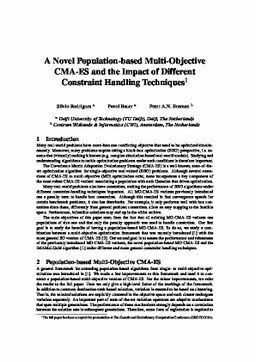 A Novel Population-based Multi-Objective CMA-ES and the Impact of Different Constraint Handling Techniques. In Proceedings of Belgian-Dutch Conference on Artificial Intelligence 2014. Radboud University Nijmegen.